Not everything you need to know about how to get a literary agent, but a fair bit. In Q&A format. With some useful links. Should I finish my novel before trying to get an agent? Yes. If an agent likes what he or she sees when you submit sample material, the next thing that agent is going to ask you for is the rest of your book. I suggest you don’t rush to get your novel to an agent, by the way. Sit on it for a while. In order to give yourself a chance of getting representation, you must make sure your novel is absolutely, definitively, categorically as good as it can possibly be before letting it loose on an unsuspecting publishing professional. Good question. Your novel should be in the right word-count range for the type of book you’re writing. What that range is depends on your genre. Writer’s Digest did a good overview of the subject here. Okay, my novel’s the right length and it’s so polished I fear its dazzle could blind someone. How should I go about submitting it to agents? Generally, US agents like you to send a query letter in the first instance. The Brits tend to encourage you to jump right in by sending them a few chapters, a synopsis and a covering letter. Should I approach more than one agent at the same time? Definitely if you’re only sending out query letters. In my opinion, you should also back more than one horse if you’re sending out a few chapters, but bear in mind some agents don’t like authors doing this, and I wouldn’t advise you to go wild and submit to lots of agents at once. That wouldn’t be very classy or clever. There are a couple of reasons I suggest you do go ahead and submit to more than one agent. First, agents can take a long time to get back to you – if they do at all – and often when they do it’s to tell you that your novel is not right for them, so you don’t want to be waiting eight weeks for a response that turns out to be a no before moving on and trying to get representation from someone else. Second, as with dating, you don’t necessarily want to shack up with the first fish that lands in your lap, to mix metaphors. Ideally, you want to be represented by someone you have a rapport with, including a creative rapport. That person isn’t necessarily going to be the first agent who says they want to sign you. Any other advice on this? Really do your homework before submitting to agents, and make sure you come across as highly professional in every way. You might want to do a course to help you. A writer mate of mine did an online course with Gotham Writers’ Workshop called How to Get Published, and it goes into the nitty-gritty of seeking representation. She heartily recommends it and says it was well worth the investment. The classes are given by an actual living, breathing literary agent. Where can I find lists of agents who are looking for new authors to sign? WriteWords is a good resource for authors looking for representation in the UK. Richard Brown, who runs the WriteWords website, says his directory for UK-based writers is the most up-to-date and authoritative available, and it looks pretty impressive to me. Since it’s online, the resource can be added to all the time. WriteWords lists agents and gives their website addresses, and there are some interviews with agents on the site in which, among other things, they share their pet peeves. You pay a modest yearly fee to join WriteWords, and there’s lots of other stuff on the site apart from the list of agents. If you’re looking for representation from a literary agency in the United States, check out the website of the Association of Authors’ Representatives, which has a Find an Agent section, as well as agentquery.com. What should I do if I fail to get an agent for my book? You’re going to be pee’d off, that’s for sure. Often the difficult thing about being rejected is the lack of communication. You may feel like you would if you’d been dumped by your girlfriend or boyfriend by text, and she or he – I say she or he, but hopefully you will have established whether your ex-partner is a he or a she during the relationship – won’t answer your calls. You don’t often find out what the issue is, or issues are, with your material from agents when they reject you, because they usually don’t enter into a conversation with you. But there we are; that’s life. If this writing game was easy, everyone would be doing it. Bear in mind that agents are very, very busy people and they have a whole load of authors they already represent to take care of, so they usually can’t afford to be too generous with their time and energy. If you do get a few morsels of real feedback from an agent who is nevertheless rejecting your submission, that’s actually a good sign. And do take on board what he or she says. Usually, though, you’ll get a boilerplate response designed to soften the blow – something along the lines of ‘Thanks, but this isn’t right for me.’ Though of course you might be getting rejected because your material isn’t strong enough, don’t go thinking that’s the only reason writers get turned down. An agent might actually like your writing but not see a market for it. Or you may have messed up the submission in a big way and the agent didn’t actually read beyond the misspellings in your covering letter. If, after a string of rejections, followed by some soul-searching, you realise your novel probably isn’t good enough as it stands, don’t write it off just yet. There may be ways to improve your book hugely. Have you studied how to write fiction? Because if you haven’t, now’s the time to do so. Actually, before you submitted your manuscript to agents would have been the right time, but that’s water under the bridge now. If you want agents and publishers and readers to engage with your work, you need to understand the craft of fiction writing. At the risk of turning this page into some sort of advertorial for Gotham Writers’ Workshop, I highly recommend you try one of their fiction writing courses. They are to-the-point, effective and practical – I know this because I’ve taken a few courses with Gotham. Should you, upon looking out the window, discover yourself not to be living in New York at this moment in time, don’t fret, because Gotham run online courses. They work really, really well, too. 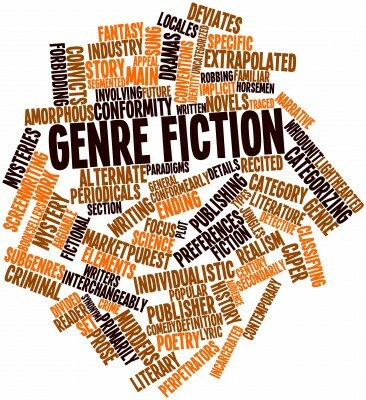 Fiction writers might be interested in three courses on offer: Mystery Writing, Science Fiction and Fantasy, and Fiction Writing. Obviously there are other organisations that offer good courses, but Gotham is the only one I can personally vouch for. I think I understand craft, actually. What else should I do? You might want to consider having your manuscript critiqued by a developmental editor. Developmental editors look at big-picture stuff, such as plotting, the degree of tension in your story, characterization, and so on, and should pinpoint both what’s going right and what’s going wrong in your manuscript. The Author-Editor Clinic has a PDF you can download here that gives advice on how to go about looking for a developmental editor. The Clinic can also help you find a good developmental editor through its own contacts. Are there any books that could help me edit my novel? Yes. Self-Editing for Fiction Writers: How to Edit Yourself into Print, by Renni Browne and Dave King, is very useful and a bit of a classic, truth be told. It talks about the types of subjects I write about in Be Your Own Copy Editor, but has more of a big-picture perspective. It’s a great book to have by your side. This offers great advice and resources. Thanks! As an aside, I once heard Canadian mystery writer Giles Blunt speak. He said his book, Forty Words for Sorrow, was rejected 18 times before finally being accepted. It went on to win the Silver Dagger for fiction, he now has a series of 6 books with this detective, and it’s being written into a TV series in Canada. My pleasure, Judy. It’s quite normal for an author to submit to a number of agents before finding an agent willing to sign him or her. It almost goes without saying that most authors who submit to agents don’t actually get snapped up at all. Agents can receive in the region of a few thousand manuscripts a year, yet they might only sign two or three new authors in the same period. I think it’s also worth pointing out that though a lot of authors who were initially rejected have gone on to do great things, the material they initially submitted to agents might not have been stellar. Agents and publishers spend a lot of time working with authors, trying to get the best out of their writing. The end product that goes on to be made into a TV series might not bear any resemblance to the original manuscript submitted to agents. I’m a fiction copy editor, author and former national newspaper and magazine journalist with over 25 years’ experience in publishing. During that time I’ve developed an intimate understanding of writing and editing from the author’s and editor’s perspectives. The knowledge and experience I’ve acquired give me a great platform from which to help fiction writers with their manuscripts. I specialize in editing genre fiction, particularly crime, thrillers, horror, fantasy and science fiction. Find out how I can help you improve your novel by getting a free sample edit, without obligation. Send me between 10 and 15 pages from your manuscript, and I’ll copyedit them and get them back to you as soon as I can. Email me at mbtrower at yahoo dot co dot uk. Could You Write a Kindle Serial? Are All Your Actions in Order? Are Your Danglers on Display?